When you are contemplating your gifts for your bridesmaids, the most important thing to take into consideration is the individual personality of each bridesmaid. You may think that you need to find a gift that is the same for everyone, but you don’t! In fact the best gifts are usually ones that you have picked out with each woman in mind. Jewelry – Jewelry is by and far the most popular bridesmaid gift choice. The reasons are obvious: most women love jewelry and it is easy to find in all price points and designs. 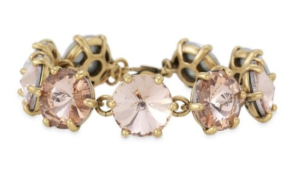 Shop at Stella and Dot for tons of cute options to fit each bridesmaid’s unique style! He’s asked and you’ve said yes. You have a gorgeous engagement ring. Now, though, comes the hard work of planning the perfect wedding. Do you know where to begin? The best way to start your wedding planning is to find a professional wedding planner. 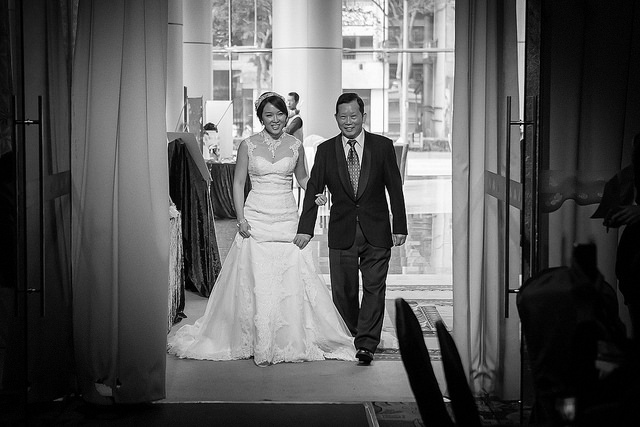 Look for somebody who knows the ins and outs of planning the perfect Toronto wedding. 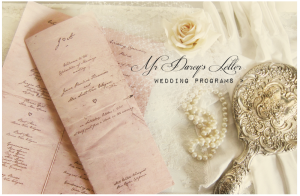 A Toronto wedding planner can work with you to start determining the big aspects of your dream wedding. This includes choosing a date (or narrowing it down to a few possible dates) and choosing a theme or overall style of wedding. You won’t need to work out all the details just yet, but having a big picture is a good way to start. However, if there are some details that you know you absolutely want included, they can help form the basis of your theme and overall design. #TuesdayTrend- Pink is the new black. Welcome to the first #TuesdayTrend. #TuesdayTrend is all about discussing up and coming trends for weddings. 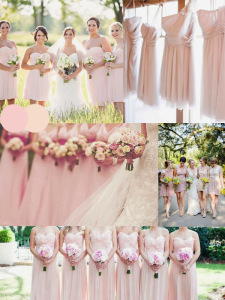 This week were talking about pink and it’s back in a big way this year for weddings. So if you’re feeling like a blushing bride then carry on blushing and incorporate pink as your accent colour in your wedding this year. However.. I wouldn’t start looking at Barbie pink, think along the palate lines of dusty pinks, blush, peaches and nudes. This palate is subtle but it will give you touches of romance whilst keeping it elegant. 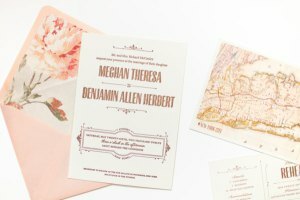 If you’re thinking of going pink this year, start getting romantic with your invitations. Here are some examples below, if you’re feeling creative this would make a great DIY project which will also cut the costs down dramatically! 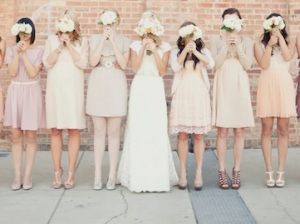 Bridesmaids are also great way to incorporate your pink romance theme. I absolutely love seeing pictures of brides with their bridesmaids dresses all looking slightly different which gives each maid a unique look. Are you a morning person who just wants to dive into each day? If so, make your wedding reflect your favorite time of day. A breakfast wedding shifts the celebrations to the morning and offers a great alternative to the traditional afternoon or evening wedding. Morning weddings in Washington DC are particularly beautiful in the spring and summer. In these seasons you can enjoy the gorgeous morning sun and avoid any afternoon heat. They are still possible in the fall and winter, but you might need to start later because of later sunrise times. For an energizing and fun breakfast wedding, welcome your guests with a beverage. This can be coffee, juice, or a cocktail like a mimosa. You can hold your ceremony first thing, followed by a delicious breakfast or brunch. It’s amazing, the power of a piece of jewelry to convey so much meaning… Engagement rings and wedding bands represent the never-ending love you have for each other, and let the whole world know you are married! Besides the exquisite beauty of wedding rings, there is a lot to know about metals, diamonds, and the care involved. This “Ring Primer” will help you understand all the basics. Gold – Gold is classic, beautiful and popular. Pure gold is too soft for practical use, so it’s mixed with other metals for jewelry. 14-karat gold retains its brilliant gold color, but is durable enough for daily wear, and can be polished easily. White gold – White gold is made by mixing pure gold with other white metals such as silver, palladium or zinc. It does have a slightly yellow tint, unless it’s coated with a very white metal called rhodium. This provides a very white metal look, but it’s likely that it will need to be re-coated every one to two years as the rhodium wears away. Platinum – Extremely popular in the last decade or so, platinum is a very white, heavy (which many people like that substantial feel), and durable metal. It’s a gorgeous, long-lasting compliment to diamonds! Popular demand for this metal has driven the price up quite a bit, and maintenance is more complicated than gold. Palladium – A “sister” metal to platinum, palladium is a naturally white metal (whiter than white gold), and like platinum, it is strong, non-tarnishing and hypoallergenic. It’s also less expensive than platinum, making it a good metal to consider if you like the white metal look. 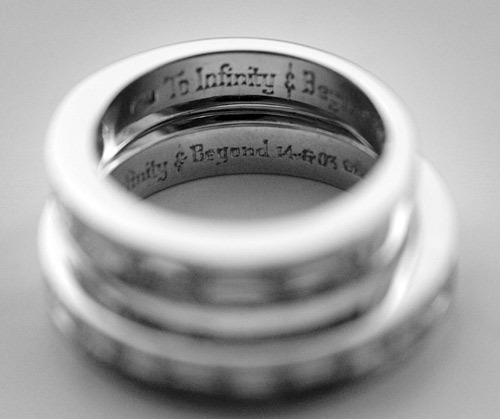 Titanium and tungsten carbide – Usually used for men’s wedding bands, both of these metals are extremely durable, 100% hypoallergenic and relatively inexpensive. Titanium can be oxidized to create some brilliant accent colors such as bright blue, purple and so on, creating a very unique and interesting look. Tungsten carbide is twice as hard as steel and almost impossible to scratch, making is a great metal for very active men. These metals cannot be resized once the ring is made, so order the size carefully. When shopping for a diamond, you will quickly be introduced to the “Four Cs” – cut, color, clarity and carat. All four features can make a dramatic impact on the quality, and therefore price, of a diamond. Cut – Cut really refers to the proportions of a diamond and it’s facets, as opposed to its shape, which includes round (brilliant), oval, pear, marquise, emerald, square (princess or radiant), heart and triangle. Regardless of its shape, a diamond gets its brilliancy from the cutting, and maximizing the reflection of light. When a stone is cut too shallow or too deep, the light that enters through the top is allowed to escape through the diamond’s bottom and minimizes its brilliance. Color – The best color is no color at all (when desiring a white diamond), because it reflects the most light. The Gemological Institute of America (GIA) ranks diamonds on a standard 23-grade scale from D through Z. D, the highest rating, indicates a perfectly colorless stone, while Z, the lowest rating, indicates a light yellow stone. Carat – Diamonds are weighed in carats, which may also be expressed as “points,” where one carat equals 100 points. A diamond of 50 points, for example, equals ½ carat. Diamonds of more than one carat are extremely rare (one in a thousand), and therefore very valuable. But remember that carat weight is only one factor in determining value. Two diamonds of the same size can vary considerably in value depending on the other three factors – cut, color and clarity. Once rings have been selected and purchased, request an appraisal. This is a written estimate of the value of your jewelry, and should include specific indications of the four Cs. Immediately after purchase, photograph your jewelry for insurance purposes, and make sure your current policy has adequate coverage. If it doesn’t, consult your insurance agent about amending your policy. Although diamonds are the hardest natural substance known to man, a hard blow could still chip one, so don’t wear your ring when doing rough work. You should also avoid direct contact with chlorine bleach and chlorinated pool water, which could pit and discolor the mounting. To clean your jewelry, regularly soak them for about 30 minutes in either a commercial jewelry cleaner, or a homemade solution comprised of equal parts cold water and ammonia, or a mixture of warm water and mild detergent. Brush the stones gently with an eyebrow brush or soft toothbrush, then rinse thoroughly under warm water and pat dry with a lint-free cloth. Have you rings checked annually by your jeweler for loose prongs or settings. This is especially important if you have only four prongs, because just one broken prong will cause you to lose your stone. These precautions and gentle care will pay you back with years of enjoyment and pride in this precious symbol of your union. 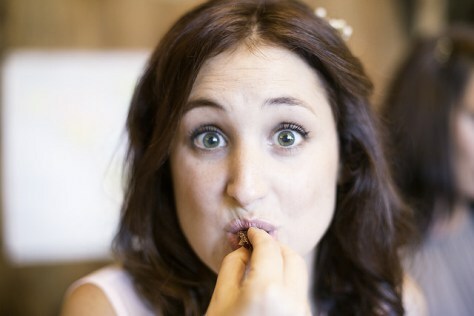 Perhaps the only part of a wedding that’s gotten a bad rap throughout the years is the meal. Guests usually expect a dry chicken breast and some sticky rice pilaf, so spicing up the dinner and giving it a personal spin is the perfect way to make your wedding memorable and give your guests some fuel to dance the night away. Step 1: Start the search. As soon as you’ve selected your reception site, the catering search can begin. Some locations require that you use their in-house caterer or banquet department, which makes your choice fairly simple. These locations include hotels, country clubs and some of the more unusual facilities such as museums, boats or historical homes. If they allow an independent caterer, you may be asked to choose from a pre-approved list. If you’re able to select your own caterer, though, try to narrow down your list to no more than three, otherwise you’ll be tasting for a month and all the flavors will blur together. When you’re calling caterers, make sure to have as much information as you know on hand. They’ll want to know your wedding date, time of day, approximate number of guests, if you’d like a sit-down or buffet meal and the degree of formality and style. If you have any general menu ideas or preferences, let the caterer know so they can be better prepared for your initial meeting. Ask for sample wedding menus and references before a formal meeting or tasting. Step 2: Determine your service style. Right off the bat, caterers will want to discuss your taste and budget in detail. Think about the style and feel of your wedding, and decide whether you want a sit-down meal or a buffet. Then talk about the extras – do you want hors d’oeuvres during cocktails and a late-night snack? How about fruit or coffee with the cake? 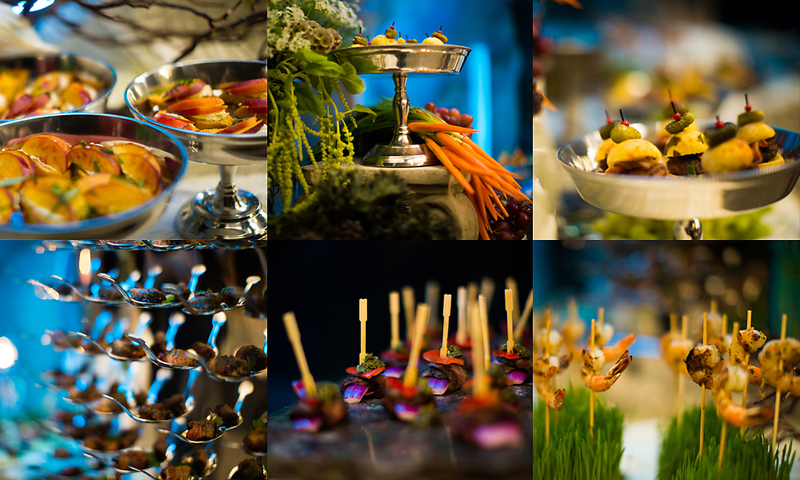 Talk with a caterer about the different options and appropriateness for the time of day, number of guests and style. Step 3: Schedule a tasting. When you finally narrow down your list, the fun part is here – tasting! Don’t be afraid to speak up during tastings, or ask if they can tweak something to your tastes. This is your day and your meal and fulfilling your food wishes is their job. Step 4: Design the menu. Start by searching through magazines, web sites and bridal shows to clarify your likes and dislikes. 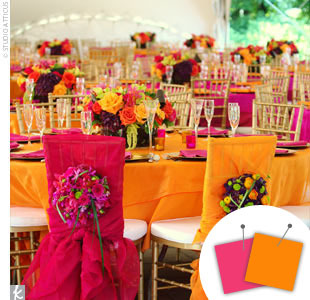 Think about weddings you’ve attended, or ask caterers or friends for favorites and fails. Then, work closely with your caterer to craft the perfect and personal menu. 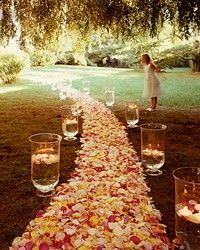 Remember that the caterer has probably seen lots of weddings and knows what works best with the number of people, the time of day and the locations, so take their professional advice if they think a cool, crisp salad might not be the best appetizer in your outdoor summer wedding. Also keep your guests in mind – you might have to accommodate for lots of children or vegetarians, for example. Step 5: Calculate the cost. Once you’ve selected a caterer, think business and cost. Most caterers base their prices on a per-person cost. Facilities with in-house catering departments may have a minimum charge or set-up fee, while an off-premises caterer will usually work within any reasonable, agreed-upon budget. Keep in mind buffets are usually priced higher, since they’ll have to account for a little more per person, and it’s common to add overage or gratuity. Your final guest count is usually required one week before the event. This will be the minimum number of people for which you will actually be charged. Most caterers will plan on the addition of a few last-minute guests and will add the meals to the bill after the wedding. Decide if you’ll include meals for wedding-related personnel, such as the DJ, musicians, photographer and consultant. If cost is an issue, ask your caterer about “vendor meals,” these meals are more casual than the guest menu and are offered at a lower cost per person. Get specifics as to what extras are included in the caterer’s charges, such as table linens, plates, glasses, crystal, silverware and service pieces. Step 6: Plan the help. Once the menu is finalized, the next step is determining the number of wait staff you will need to serve your feast and keep your reception running smoothly. Your caterer will give you a better idea, but a general guideline is one server per 10 to 12 guests for a sit-down dinner. A full and open bar will require more servers. 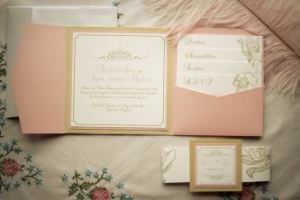 Ask ahead of time what their attire is, so it matches the style and formality of your reception. Step 7: Finalize the details, in writing. Don’t sign a contract without this info – day, date, time, address of the site, food items by course, number of guests covered, provisions for special meals, time of cocktail hour, time meal is served, contact people, number of bartenders and wait staff, linens, beverages and bar guidelines, terms of payment and liability insurance. There will probably be an advance deposit when you sign the contract, and don’t forget to check the cancellation policy. Give your guests a culinary trip across the globe, with a variety of food stations offering a range of ethnic food…pad thai, bruschetta, and mini sushi rolls are a fun way to inspire conversation and provide something for everyone. Do you and your spouse have a favorite restaurant you went on your first date, or a meal you love cooking together? Make it part of your day. Even if your favorite restaurant doesn’t have a special cater service for those fish tacos, talk to an owner and see if they’d be willing to bend a little, especially for a small wedding. Don’t make your grandma cook her favorite lasagna on your day, but don’t be afraid to look for a great Italian caterer and let everyone know the inspiration for the meal.